As you and your colleagues sink your teeth into Proof Week, we thought you might want to get ahead by putting some teeth in your lead generation strategy. 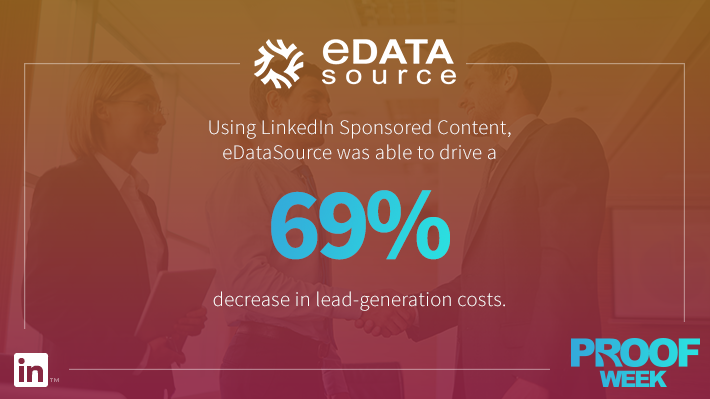 In this post, we highlight marketers who did just that using LinkedIn Marketing Solutions. 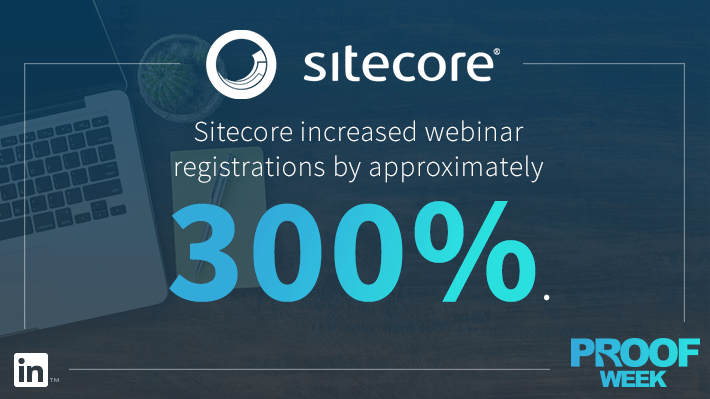 Read on for bite-sized success stories that show how 10 marketers propelled their lead generation to new levels. 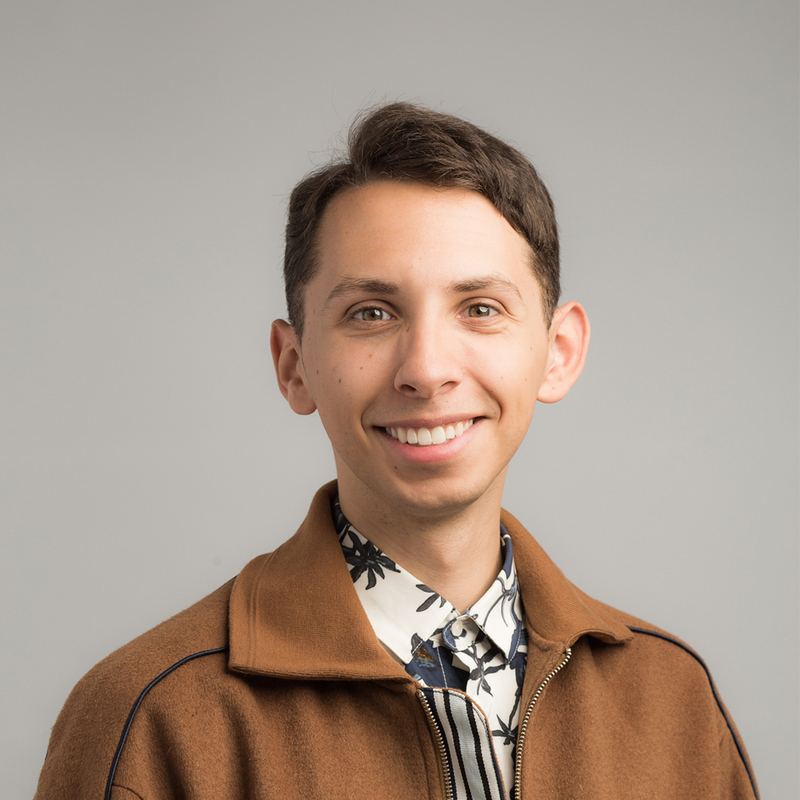 As Brian Funicelli, Social Media Manager for The Blue Book Building & Construction Network® explains, [JP1] “We started out as a print directory of construction professionals in 1913. 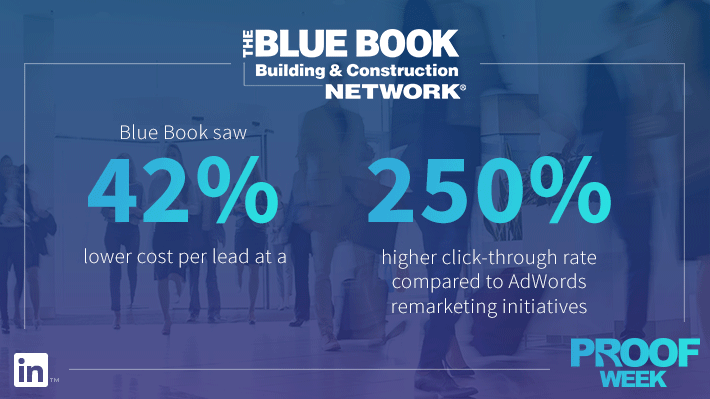 Even though we’d made the transition to digital advertising, we really began to see significant results when we started using LinkedIn.” Blue Book Network now leverages digital channels to drive registrations and attendance for its showcase events. To drive leads for its enterprise software solutions, CA Technologies needed to convert high-quality IT decision-makers once they downloaded relevant content. 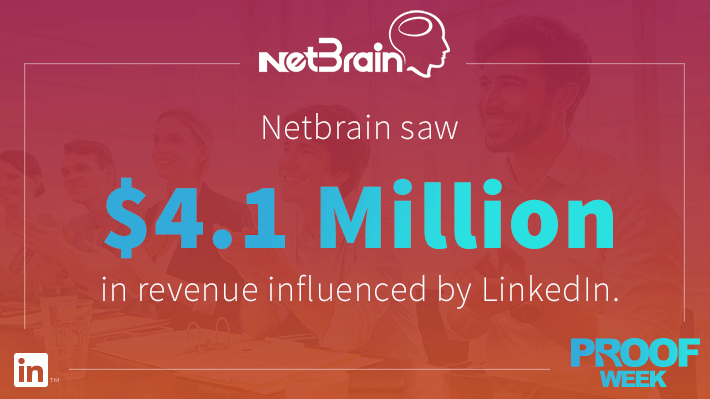 “Our LinkedIn campaigns succeed, because we’re connecting with a professional audience with a business mindset. 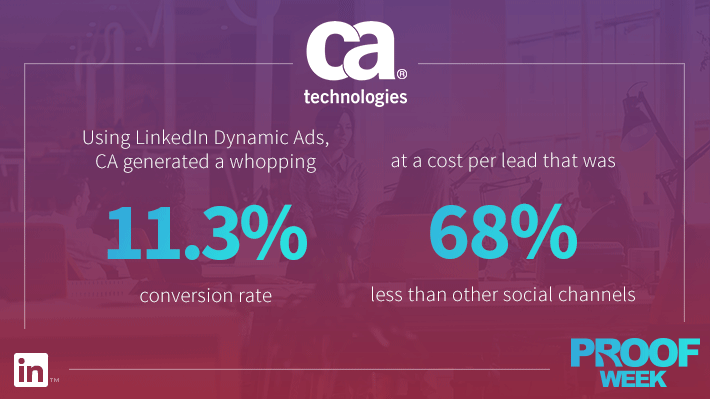 And since Dynamic Ads are customized and personalized, they’re even more likely to gain attention, raise brand awareness, and drive conversions,” explains Andrew Spoeth, Head of Social Media Marketing for CA Technologies. 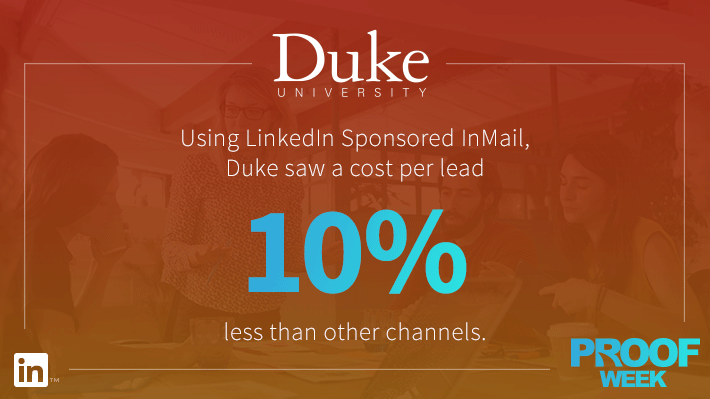 Using LinkedIn Dynamic Ads, CA generated a whopping 11.3 percent conversion rate at a cost per lead that was 68 percent less than other social channels. If you’ll be attending the 2017 Marketo Marketing Nation Summit in San Francisco, join us for a live session where Andrew Spoeth will share how his team achieved these results and more. “One of the extraordinary things about this InMail campaign is that we have two students starting in August who had never heard of this program when they received our InMail in March. In the history of my marketing experience at this school, I’ve never seen us convert that quickly,” says Elizabeth Hogan, Associate Dean of Global Marketing for Fuqua School of Business. 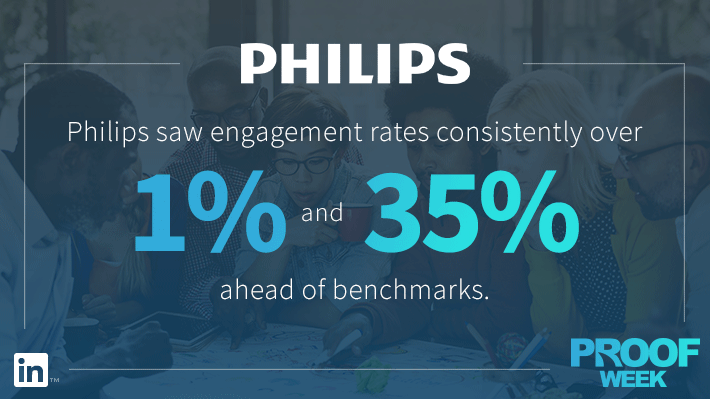 “When you look at these metrics you see just how efficient and effective LinkedIn is,” concludes Didier Zegers Director, Head of Digital at Philips BeNeLux. Spigit is an idea management software platform that helps customers determine the best ideas using the power of data. When looking for a digital marketing solution, Spigit needed something that could meet their data-driven expectations. Armed with a clear picture of their audience – and LinkedIn’s targeting capabilities – Spigit began to run a series of account-based marketing (ABM) campaigns using LinkedIn Sponsored Content. Once the campaigns were underway, Spigit frequently ran A/B tests to optimize the performance of each. 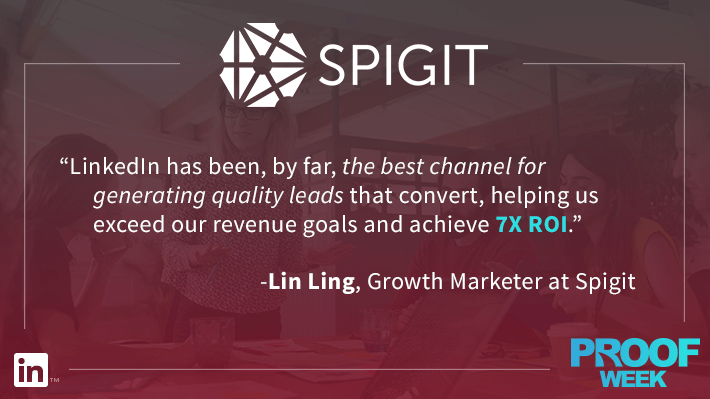 “LinkedIn has been, by far, the best channel for generating quality leads that convert, helping us exceed our revenue goals and achieve 7X ROI,” concludes Lin Ling, Growth Marketer at Spigit. 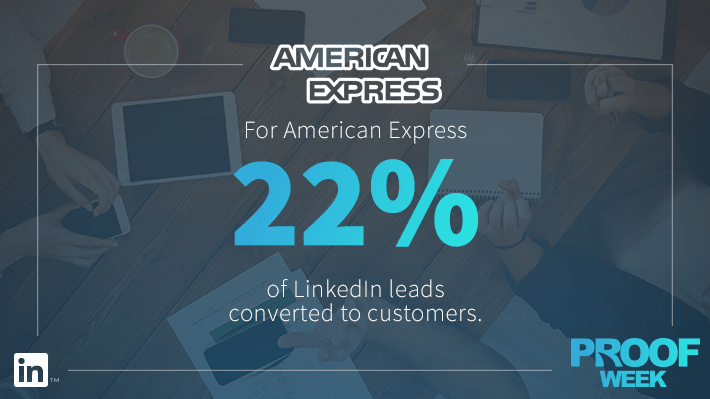 To learn more about the tactics behind the results, feel free to take a deeper dive into these case studies, or get right down to business with LinkedIn Ads.